In 1976 (at the age of seventeen) Ron started his music career with The Pearces, a gospel group based in Little Rock, Arkansas. The group moved the following year to Ft Worth, Tx. to be the the featured music on a TV Ministry called “Wide World of Truth”.While living in Ft. Worth, Ron became involved in the local music scene as a session singer and a bass player. Playing on record projects and singing jingles, as well as recording records with “The Pearces”, Ron began to develop his own musical style. After nearly eight years with “The Pearces” (touring the continental United States and Canada) Ron moved on to become a back-up singer with former Imperial lead singer, Russ Taff. Ron was with The Russ Taff Band from March of 1984 until December of 1985. While on tour with Russ, Ron was asked to audition for The Imperials. In January of 1986 Ron joined the Imperials as their new lead singer and toured with them from January 1986 until August 1990. He recorded three records with The Imperials “This Years Model” ,“Free the Fire” and “Love’s Still Changing Hearts” and was lead singer on five #1 hits for the group. After completing tours to Europe and South Africa, and touring the U.S. and Canada nonstop for nearly five years it was time to take a break. In 1990, after having spent the first fourteen years of his career on the road, Ron became the Musical Director at Palm Beach Community Church in West Palm Beach, Florida. In 2002, Ron’s song “Innoncence Lost” was recorded by Amy Grant. 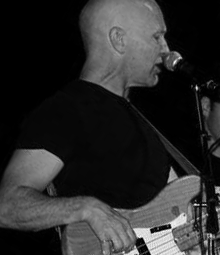 Ron also co-produced and played bass and guitar on the track. That same year, along with friends Billy Simon and Jimmy Lee Sloas, Ron signed a record deal with MCA Records. The band, “Chester Whyte”, recorded a project that was never released. In February 2003, Ron returned to Palm Beach Community Church for a short stint as Music Director, returning to Nashville the following year to see “Diamond Rio” record “Get Away” written by Ron, Billy Simon & Jimmy Sloas (a Chester Whyte song). Ron’s discography is too long to list but includes the likes and range of artists like Amy Grant to Edwin McCain and Cece Winans to Dusty Springfield. Ron continues to write songs, record and perform llive, and calls Nashville, TN home with his wife Cindy and their beautiful daughter, Amelia.